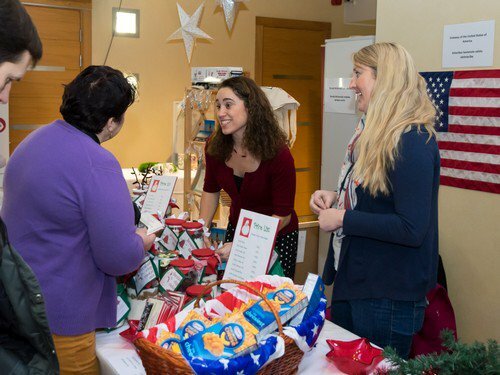 Organized each year by the International Women’s Club, the Charity Christmas Bazaar raises cash for deserving local causes by selling handmade souvenirs, toys and traditional gifts at stalls run by more than 20 foreign embassies. 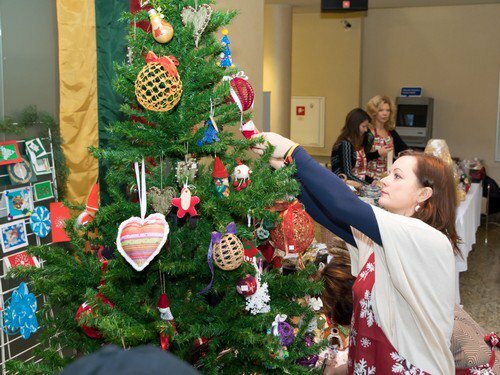 This year’s event is scheduled at Riga City Council (Rastklaukuma 1), for December 6, from 11am to 4pm. Together with a seasonal welcome, visitors will also be able to taste different national cuisines and take part in a live auction. It’s the 18th year the International Women’s Club of Riga is hosting bazaar. Traditional presents will be on offer from countries such as USA, China, the Scandinavian countries, Turkey, Belgium, Lithuania, and more. Last year the event raised almost 30,000 euros. That went to low-income families, young single mothers, the elderly, and victims of violence, as well as to 14 different organizations in Latvia, including the foster care center Namins, SOS Children Villages Latvia, Teika orphanage, Irlava orphanage, Ronald McDonald Care Mobile, the Riga Anglican Church soup kitchen, the crisis centers Martina Maja and Marsa Gatve and the Bethlemes Maja center for people with addictions.